I currently run Lathe Cut Records as a Mastering Engineer. 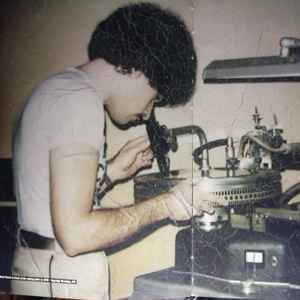 I started cutting acetates back in 1972 With Walter Gibbons. He and I started Melting Pot Sound, a acetate dub plate disc recording service for DJ's. Long after many years, I decided to give up the business in 1986 and sold my lathe on consignment to Robert S.Cosulich of TRANSCO PRODUCTS CORP in Linden, NJ. The Neumann cutting lathe and the HAECO SC-1 cutting head was the one used to cut The misfits first 45 7 inch disc "Cough Cool". The Neumann system wound up in The Wakefield section of The Bronx, NY to a Errol Jones who used to own a Reggae recording studio, The last thing that I heard in 2015 by a local pirate radio station near by, was, it was sold to someone in Japan. I purchased this record cutting lathe in 1972 from A&R recording studios in New York, where I met Al Brown, and he helped me load it into the truck, which I later upgraded to stereo in 1975. I called my studio, "SPECTRUM SOUND", 1974-1977, At the time I was working at Variety Recording Studios along with Fred Vargas and Joe Cyr. Howie at Master Craft Plating at 609 West 51st Street, New York City, back then in1980, had told me over the phone, "we don't like newcomers in the mastering business" and accused me of cutting bootleg masters. In the same period I worked with Herb Abramson at A1-Sound Studios where I had to install and set up his Scully 501 lathe. In 1984 I entered in a short contract agreement with Allied Recording Products in Long Island City, Queens,NY, and relocated my record cutting lathe at the Allied manufacturing plant to do quality control cutting of the acetate blanks. Fred Vargas was the owner of Variety Recording Studios at 131 West 42nd Street, New York City, He passed away in 1989.